Click on the expandable blue bars below for more information about call for projects funding opportunities. Information on this page indicates potential eligibility for pedestrian and bicycle projects under Federal Transit and Federal Highway programs. TPWD administers the National Recreational Trails Fund in Texas under the approval of the Federal Highway Administration. This federally funded program receives its funding from a portion of federal gas taxes paid on fuel used in non-highway recreational vehicles. The grants can be up to 80 percent of project cost with a maximum of $200,000 for non-motorized trail grants and $400,000 for motorized off-highway vehicle grants. Funds can be spent on both motorized and non-motorized recreational trail projects such as the construction of new recreational trails, to improve existing trails, to develop trailheads or trailside facilities, and to acquire trail corridors. For more information on Recreational Trail Grants, call 512-538-4427. The Transportation Alternatives Set-Aside (TA Set-Aside) Program was authorized under Section 1109 of Fixing America’s Surface Transportation Act (FAST Act) (the current transportation funding and authorization bill) and provides funding for programs and projects defined as transportation alternatives. The TA Set-Aside Program is similar to the former Transportation Alternatives Program, Transportation Enhancement, and Safe Routes to School programs. The 12-county NCTCOG Metropolitan Planning Area has been sub-allocated approximately $23 million in TA Set-Aside Program funds which will be available to award as part of a 2017 Call for Projects in our region. General types of projects eligible under this program include on- and off-road pedestrian and bicycle facilities, infrastructure projects for improving non-driver access to public transportation and enhanced mobility, and pedestrian and bicycle infrastructure associated with Safe Routes to School (SRTS) projects that will substantially improve safety and the ability for students to walk and bicycle to school. 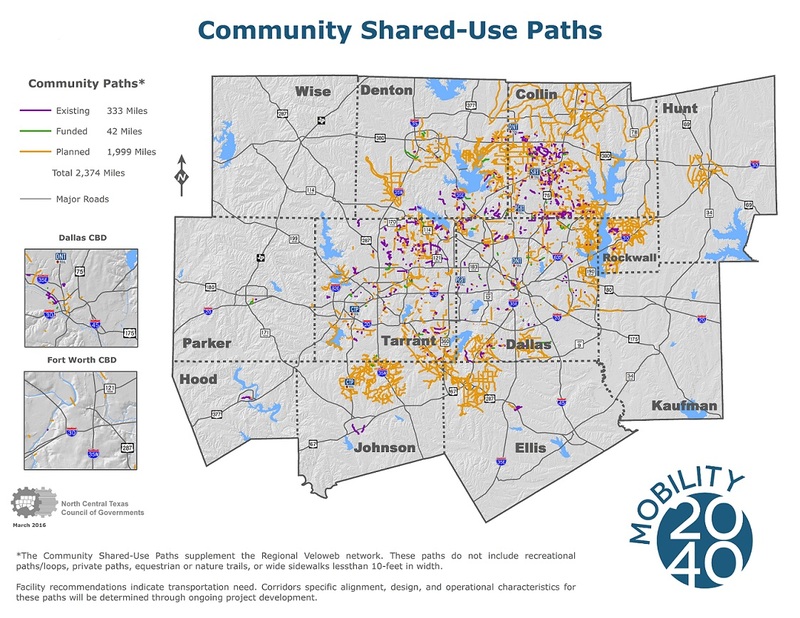 On June 8, 2017, the Regional Transportation Council approved 34 Transportation Alternatives Set-Aside Program projects that fall within NCTCOG's Metropolitan Planning Area. Click here for a list of funded projects in the region. Click here for a map of the funded project locations. *Includes clarification related to the submittal of documentation for right-of-way or easements associated with the project, as approved by the Regional Transportation Council. An application workshop was held on December 14, 2016 at NCTCOG offices where staff reviewed application submittal requirements for the Call for Projects, including eligible project categories, eligible entities to receive funding, evaluation and scoring priorities, and questions related to the application process. 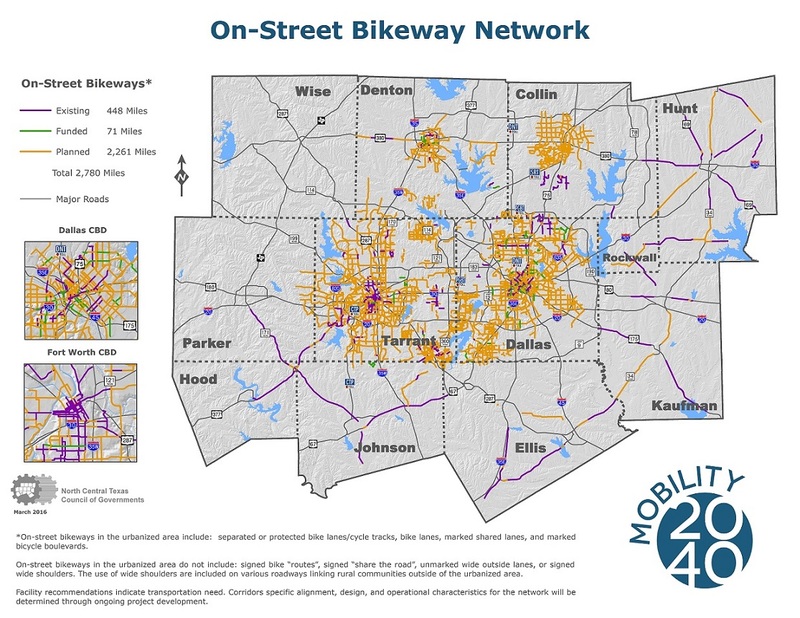 As part of the quarterly Bicycle and Pedestrian Advisory Committee held on November 16, 2016, proposed guidelines for the Call for Projects for the North Central Texas Region was presented to the public to seek feedback. The public was invited to share thoughts on issues related to the types of projects eligible for funding through the call for projects, criteria for evaluating projects, as well as local funding match requirements and the schedule and process through which funding may be awarded. On January 16, 2015, the Texas Department of Transportation announced the 2015 Transportation Alternatives Program (TAP) Call for Projects. The TAP, as administered by the department, provides funding for a variety of alternative transportation projects, including on- and off road pedestrian and bicycle facilities, infrastructure for non-driver access to public transportation, projects that enhance mobility, and Safe Routes to School infrastructure projects. An estimated $52 million in federal funds are anticipated to be available to fund authorized TAP projects. This Call for Projects is limited to eligible project sponsors and projects from non-urban areas with populations of 5,000 or less and urban areas with populations of 5,001 to 200,000 that are outside 2010 U.S. Census Urbanized Area boundaries with populations over 200,000. NCTCOG will host a workshop for the 2015 Statewide TAP Call for Projects. Local TxDOT district staff will be available to discuss TAP program information and the candidate project nomination process. April 20, 2015 - Deadline to submit a request to the North Central Texas Council of Governments (NCTCOG) for a letter of support. Please direct requests to Daniel Snyder at dsnyder@nctcog.org. When submitting a request, please provide NCTCOG staff with the following information: A brief project description, an area map of the project location, the amount of funding requested, and local contribution. letter of support from the MPO and a commitment from the MPO to include the proposed project in the local TIP, should TAP funding for the proposed project be made available. Early coordination with the MPO is essential for project sponsors to obtain their letter of support in a timely manner." May 4, 2015 (5:00 p.m. CDT) – Submission deadline for TAP 2015 project nomination(s). July – September, 2015 – Proposed selection of TAP projects by the Texas Transportation Commission. The Transportation Alternatives Program (TAP) was authorized under Section 1122 of MAP – 21: Moving Ahead for Progress in the 21st Century (the current transportation funding and authorization bill) and provides funding for programs and projects defined as transportation alternatives. TAP is similar to the former Transportation Enhancement (TE) and Safe Routes to School (SRTS) programs. Approximately $28 million is anticipated to be available to fund TAP projects in the 12-county North Central Texas Council of Governments' (NCTCOG) Metropolitan Planning Area. General types of projects eligible under this program include on- and off-road pedestrian and bicycle facilities, infrastructure projects for improving non-driver access to public transportation and enhanced mobility, improved safety and access to schools, and boulevards and similar multimodal roadways. On October 9, 2014 the Regional Transportation Council approved 33 Transportation Alternatives Program projects that fall within NCTCOG's Metropolitan Planning Area. The Transportation Enhancement (TE) Program is administered by the Texas Department of Transportation (TxDOT). Transportation enhancements were provided under the federal transportation legislation Safe, Accountable, Flexible, Efficient, Transportation Equity Act: A Legacy for Users Act (SAFETEA-LU). We are currently operating under the new transportation bill MAP-21, but additional dollars remaining from SAFETEA-LU were identified by TXDOT and they issued a statewide call for projects in 2012.
and enhancing the aesthetics of roadways. A local match of 20 percent is required for projects funded through TE. $13,044,101 million was provided for projects in the 12-county NCTCOG metropolitan planning area (formula based) for the Regional Transportation Council to select. 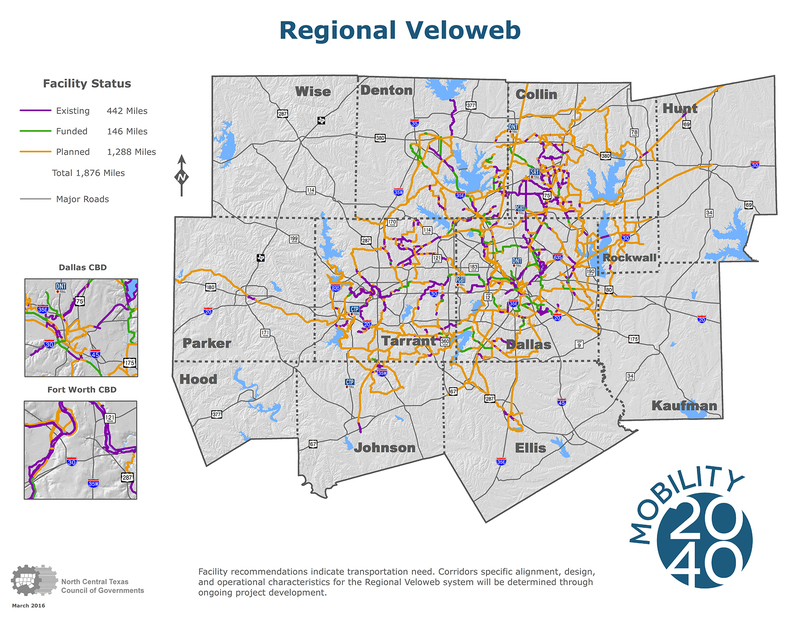 On July 25, 2013, the Texas Transportation Commission approved twenty (20) Transportation Enhancement projects that fall within the North Central Texas Council of Governments Metropolitan Planning Area. Projects were evaluated and recommended projects were approved by the Regional Transportation Council on May 9, 2013. Click here to view the presentation. A workshop was held at NCTCOG on October 22, 2012 with TxDOT district representatives to discuss the application process. Please forward any comments or questions to Karla Weaver at kweaver@nctcog.org or Kevin Kokes at kkokes@nctcog.org.